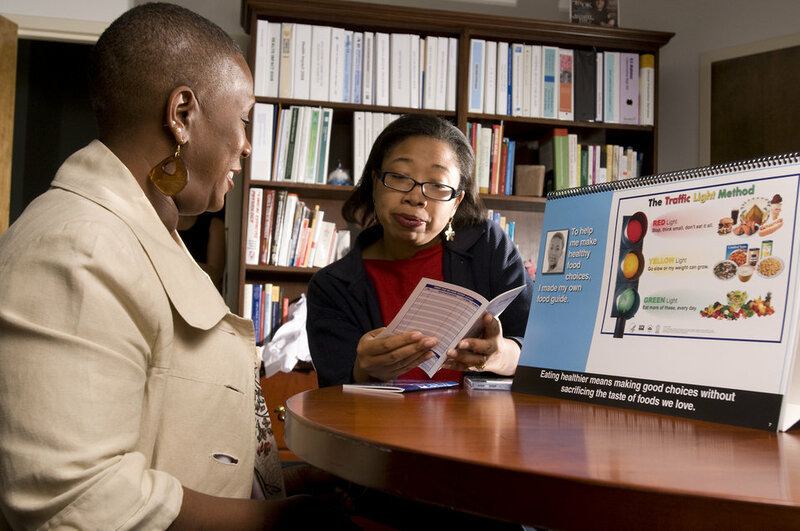 This image depicts a person with diabetes in the foreground listening to a community health worker familiar with the necessary diet needed to maintain control over the detrimental effects of this disease. The health worker was using a flip chart that, for the moment, was turned to a page discussing the use of the 'Traffic Light Method' to label foods. Here, the dietary specialist was providing answers to questions posed by the patient regarding the three food groups, by including some further literary content germane to the dietary topic.